Good things come in small packages! 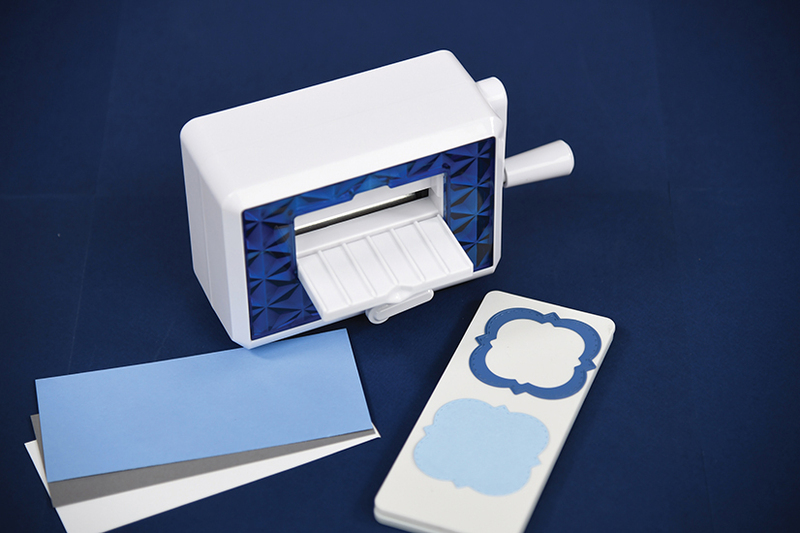 Introducing an innovative die cutting and embossing machine designed with creativity in mind. 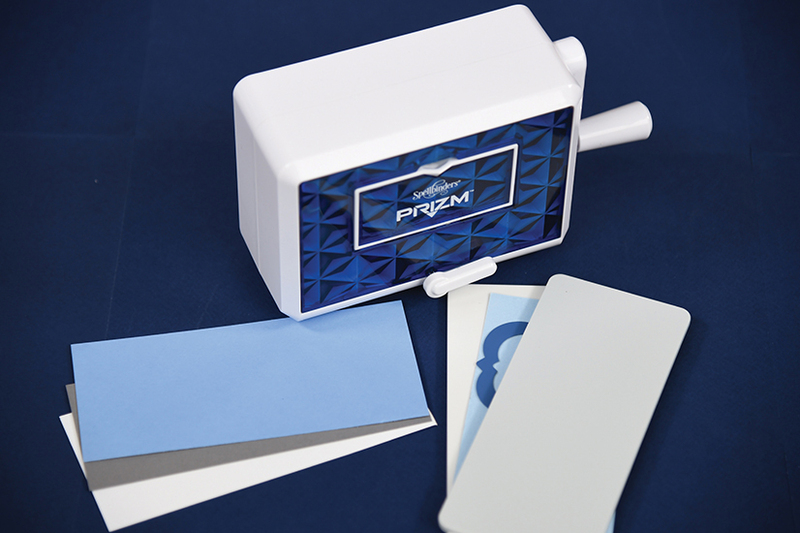 The Prizm Machine from the Spellbinders Creative Arts Line is small, portable, and lightweight (at just 1.8 pounds). 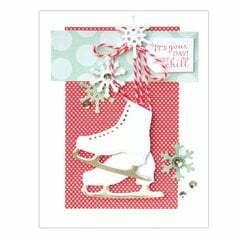 Use with many S1 and S2 sized Spellbinder dies and other compatible small dies. 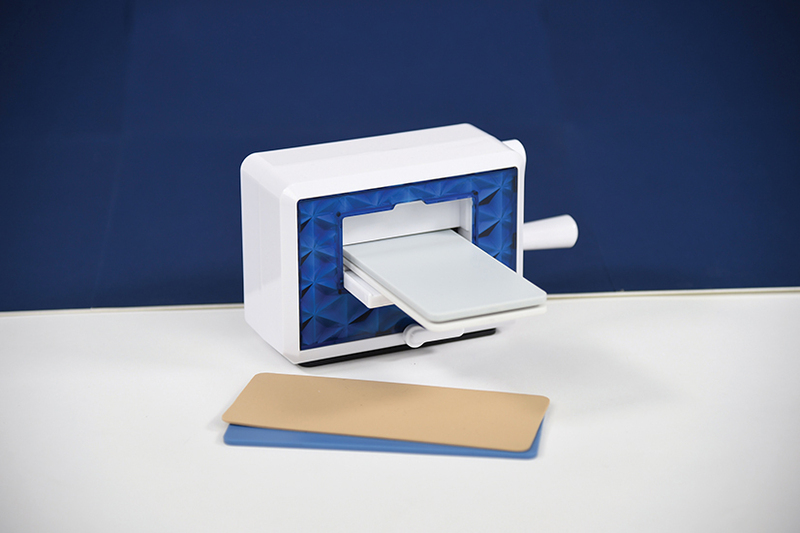 A fold-down platform, an easy-crank handle, a locking suction base, a cutting plate, a base plate, an embossing plate, and an embossing mat are included. The dimensions are 5.75" x 4.25" x 2.75"; it cuts up to 2.5" wide. 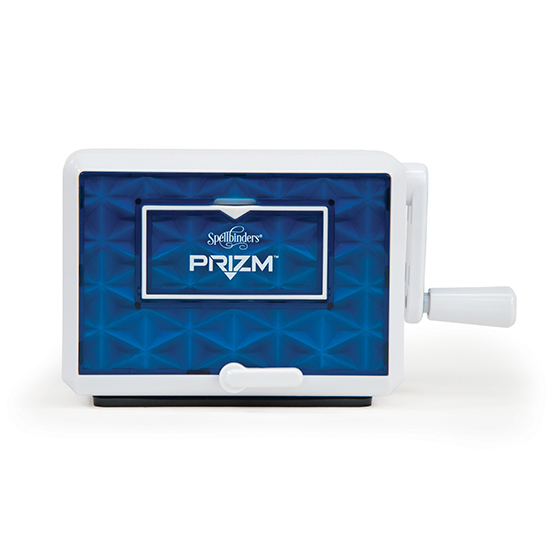 The Prizm machine comes with a limited one (1) year warranty. They are warranted to be free of defects in workmanship and materials. Spellbinders will repair or replace a defective product or parts without charge with proof of purchase within the one year warranty. If the product is damaged due to misuse or neglect, the warranty is null and void. I wanted this because it is tiny and I love tiny, I also wanted something to travel/visit with. Well I was more then surprised at how well this works!!! It's not only tiny and sweet, it works as well as my other machines. I am using it for all my small dies and love how handy this really is. I am so Happy I order this!!! I am giving it a five star review. Just got my order in, and wow. This little guy cuts like butter! cuttlebug (not) and it cut the fine lettering just perfect. Just what I needed for my small projects. Hope they sell the mats separate. I'm gonna need them! I wasn't completely sure when I opened the box if this was going to be something I would use everyday or just a cute crafting toy. It's the smallest die cutting/embossing machine I've ever seen. 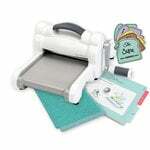 Once I started using it, I realized a) it's as high quality as all the other Spellbinders machines b) it's easy and fun to use and c) I didn't want to stop. 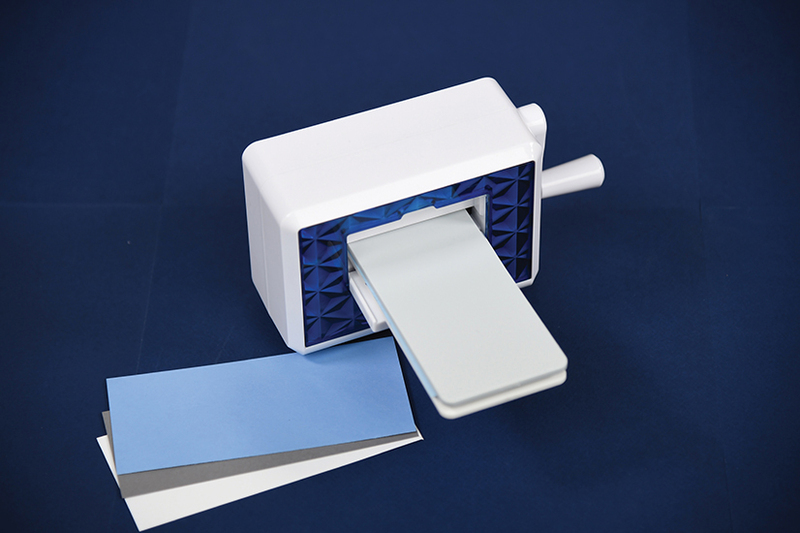 It's the perfect size for all the small embossing folders I have that I use to make cards. Right now I have been using a friend's cuttlebug and trimming the paper down. I love that it's already the right size. 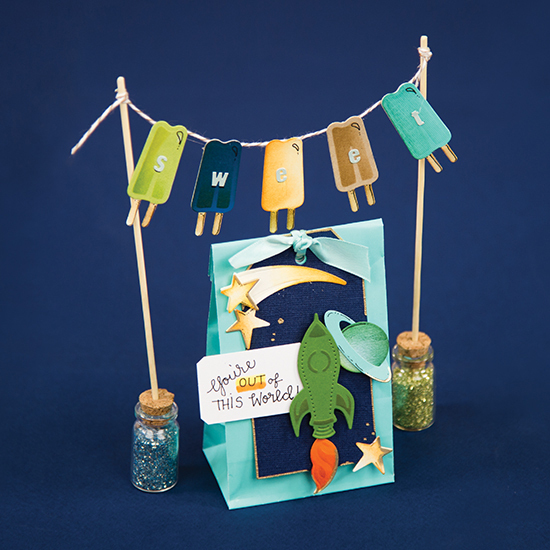 The small size makes it ideal to use with the smaller dies and I spend way less time cutting the unused portion of the paper for scraps. Yes I am one of the crafters who saves all the scraps of paper for later projects. I'm so sad! The Prizm doesn't hold up!!!! Updated review Oct 5, 2916 - I purchased the Prizm on July 9, 2016 and received it a few days later. I was so excited and have used it maybe a dozen times and loved it. Then last week I order a couple more dies. One die - Spellbinders - Shapeabilities Collection - Layered Poinsettia (I have others from this collection that work just fine with the Prizm) I bought to make Christmas cards. I was pretty sure the largest die would be too big for this little machine, but the other should be no problem. The first two pass though with the 3 smaller poinsettia layers worked like a dream and were beautiful. BUT making the 4th flower, there was a terrible grind and suddenly the handle wouldn't turn. I couldn't get it to go either way; I couldn't get the plates with the dies out. After several days of pushing and pulling, I finally got the dies out and thankfully they weren't ruined, but the handle is totally kaput. I thought the other reviewers that said the handle broke almost immediately were unfortunate to get defective machines but now I believe this little machine is not built to hold up. 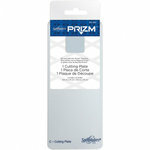 My review a week or so after received my Prizm - I’ve wanted a die cutting and embossing machine for a while, but hesitated to buy one because the cost. When SB.com offer this little jewel for $29.99, I knew this would be perfect to test and see if I really would use a bigger machine enough to justify the cost (unfortunately, I believe the answer is yes). The Prizm is just so darn cute, doesn’t take up hardly any space, and cuts just beautifully. I’m going to have to work a bit more on the embossing before I’m totally happy with the results there. Would I recommend this little jewel, oh my yes! 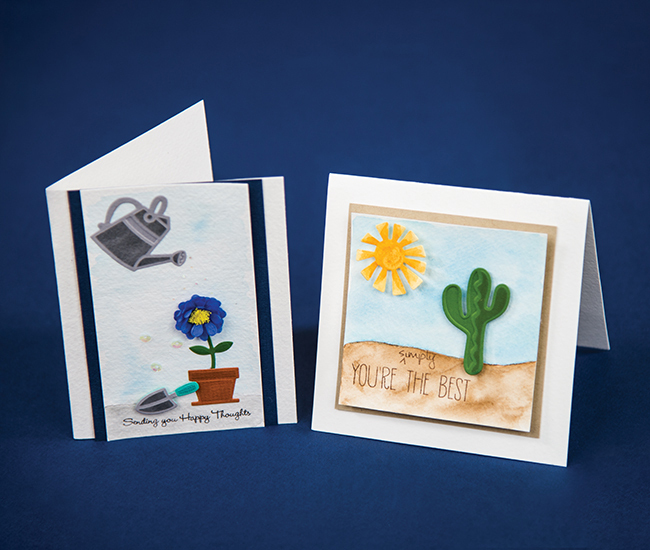 I'm a card maker and I do a lot of die cutting. I own a big shot but it is difficult to take along to crops and sharing sessions. This new little machine is wonderful for take alongs. It's light and doesn't require a bunch of extras. The box it comes in is easy to carry and holds it well. Maybe someday they will come out with a carry case that would hold some dies also. I bought this at a local store and love how light weight it is and that it easily fits into my small crop bag. (It would be even better if the handle folded or was removable.) The first 2 times I used it, it worked great. The third time, however, it broke (handle wouldn't turn, a little black piece of plastic fell out, and I could hear something rattling around inside) and the plates with 2 of my dies were firmly stuck in the machine. I took it back to the store I bought it from. The manager was able to remove my dies with quite a lot of force after several attempts and ordered a new machine to exchange my defective one with. I have my fingers crossed that the 2nd one will last longer! I really want a small machine for travel. I'd love it if "small" and "high quality" could be combined. Update: It's been about a year since my first review. I've been using the replacement machine during that time, and have traveled with it quite a bit. It's been working great! There haven't been any signs of impending doom. (I'm keeping my fingers crossed!) It really is a great little machine. On the third die I used, the 'sandwich' jammed and could not be moved with any amount of pressure. 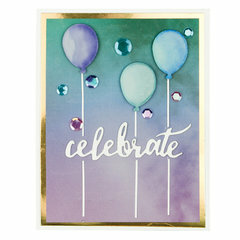 I contacted Scrapbook.com and was given Spellbinders contact information. I've since received a replacement Prizm. I've run the die which caused the jam and it ran through. I'm not sure how sturdy this little machine is going to be though. Time will tell. It's certainly a great low-cost machine, if it continues to work. Loved It, Not Love It! Loved this when it came! Had a wonderful week playing, my great-grand-daughter and I cut cats, circles and other shapes for her "Treasure box", then mid cut of a cat, we heard a load crack, the handle turns, nothing happens! We were using the same weight card stock we had used for every other cut, the correct "sandwich", but then Crack! And that was the end. Love Love Love this little machine. Love the idea I don't have to bring out my big size cutting machines to cut out small designs. Cuts great also. Glad I purchased it. Can I use my sizzlit dies on the Spellbinders Prism? By: User (07-Jul-16) Helpful Question? Yes | No Thank you! Report Inappropriate This question has been reported. Thank you! 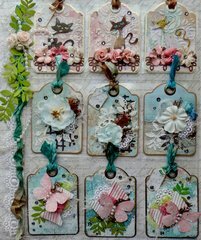 I just cut two Stephanie Barnard dies (made by Sizzix), using a medium weight cardstock, they cut great. As with all dies, will need to play around with shims to get a perfect embossed image. I did cut the butterfly die (S1-012) that came with the bundle with the same cardstock, ran it back and forth to emboss, came out great! By: kahobel (13-Jul-16) Helpful Answer? Yes | No Thank you! Report Inappropriate This Answer has been reported. Thank you! If they are what I think they are then no. The rather thick old Sizzix dies that kind of have a plastic case on them? This only takes thinlets type dies. By: deebeth89 (20-Aug-18) Helpful Answer? Yes | No Thank you! Report Inappropriate This Answer has been reported. Thank you! Is the mini prism suitable for a 12 year old girl? By: mzilean4 (11-Jan-18) Helpful Question? Yes | No Thank you! Report Inappropriate This question has been reported. Thank you! Yes very much so! By: labuhl (12-Jan-18) Helpful Answer? Yes | No Thank you! Report Inappropriate This Answer has been reported. Thank you! For those of you that had handles that broke, did Spellbinders do anything to help? By: carlaorjohn (12-Nov-17) Helpful Question? Yes | No Thank you! Report Inappropriate This question has been reported. Thank you! Sorry I can't help. I have had my spellbinders for four or five years and the only problem I have ever had was the handle becoming hard to turn and with a little WD40 that problem was quickly solved By: jeanne2280 (15-Nov-17) Helpful Answer? Yes | No Thank you! Report Inappropriate This Answer has been reported. Thank you! I am very interested in the embossing capabilities of this machine. Do they offer different embossing plates or is the embossing plate that comes with the machine the only one available? It is hard to see in the video what pattern is being embossed on the paper. This machine may not be able to do what I, as a card maker, need. I do not own any other machines. This is the only one that has been within my price range. By: lisabrereton (29-Jan-17) Helpful Question? Yes | No Thank you! Report Inappropriate This question has been reported. Thank you! Nothing is being embossed from the pad, it's the die that is being embossed on the paper, etc. If you look at a Spellbinders die quite a lot of them have openings in the die, every opening will be embossed on your paper, sometimes they have embossing details that won't show up if you only cut the die. By: deebeth89 (20-Aug-18) Helpful Answer? Yes | No Thank you! Report Inappropriate This Answer has been reported. Thank you! I bought the machine, because like you, it was the only one that I could afford. However, I have not tried the embossing part because the embossing templates that I see are all too big. That is the disadvantage of this machine: it is too little to accommodate much. 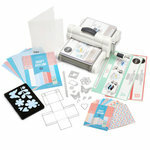 But, I do use it a lot and the die cuts add so much to my card-making and scrapbooking. What I have done about the embossing is buy the paper already embossed. Sorry that i could not be more of a help. By: Grammylucinda (03-Feb-17) Helpful Answer? Yes | No Thank you! Report Inappropriate This Answer has been reported. Thank you! I'm new to scrapbooking and was wondering if this is easy to use and can I use dies that were make by other companies and not just be restricted to this brand?? Hope someone can help By: MaisieMooCow (23-Dec-16) Helpful Question? Yes | No Thank you! Report Inappropriate This question has been reported. Thank you! It's very easy to use and you can use any thin dies you want as long as they are the smaller dies that will fit through the Prizm. By: Debmcdan (27-Dec-16) Helpful Answer? Yes | No Thank you! Report Inappropriate This Answer has been reported. Thank you! This is a great little machine for all of my small dies. It works with all small (no bigger than 2 inches) wafer thin dies. By: cfell (25-Dec-16) Helpful Answer? Yes | No Thank you! Report Inappropriate This Answer has been reported. Thank you! Have just viewed the Prism machine. I have a Cuttlebug machine, so what would be special about the Prism. ? By: djfletch (29-Nov-16) Helpful Question? Yes | No Thank you! Report Inappropriate This question has been reported. Thank you! In alignment with another owner, the appeal lies in that the Prism has big machine functionality in a compact, lightweight tool. I bought a pocketed tote at Michael's and I can stow the machine, tools and dies and be totally portable. This machine is best suited for making embellishments and borders without the space and bulkiness of a larger machine. By: SandArt (30-Nov-16) Helpful Answer? Yes | No Thank you! Report Inappropriate This Answer has been reported. Thank you! This is a compact machine, so easily carried along to a crop - it is less than 2lbs, so not too heavy. 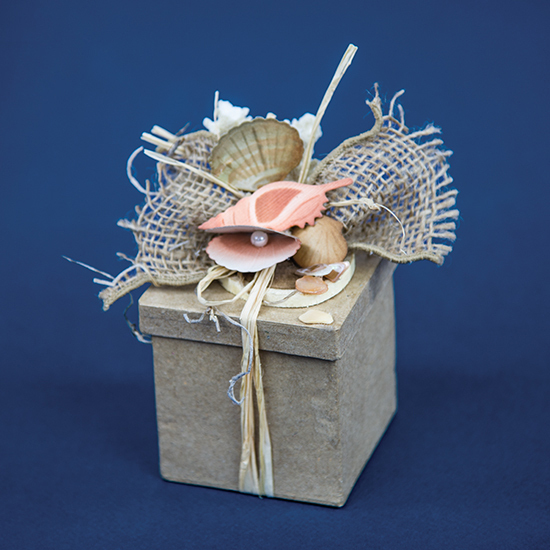 it does the same things that a Cuttlebug can do, just on a much smaller scale - the opening is only 2.5 inches wide & it only takes the thin dies. it will cut & emboss. there is an excellent video on the scrapbook.com website which shows how this works. I have a Big Shot, a Sophisticut, & will be getting this lovely little addition shortly. - Enjoy!! By: rmims (30-Nov-16) Helpful Answer? Yes | No Thank you! Report Inappropriate This Answer has been reported. Thank you! Will this machine work for the poinsettia from Tim Holtz. I have a Cricut so I just want to cut a few things with this. In reality I really just want to cut that flower. If it works well I'll probably get a few of the dies, but I just want that flowers without having to buy a big machine. Also is it working well? Some of the reviews on Amazon were not good. Thanks By: User (29-Jul-16) Helpful Question? Yes | No Thank you! Report Inappropriate This question has been reported. Thank you! 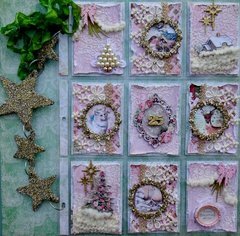 If the poinsettia you are referencing is Sizzix - Tim Holtz - Alterations Collection - Bigz Die - Tattered Poinsettia. Then the answer is no. 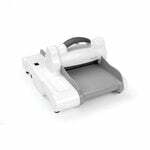 This is a mini die cut machine and will only cut 2.5 inches wide. This machine cannot cut Bigz dies. The machine however does cut and emboss nicely. I also took notice of the reviews before buying this machine. It does come with a 1 year warranty and should be registered once bought. I felt if this machine lasted more than a year I would have gotten my monies worth. Hope this helps. By: lisawtaylor (01-Aug-16) Helpful Answer? Yes | No Thank you! Report Inappropriate This Answer has been reported. Thank you! I am also a Cricut owner. I bought the Prism so that I didn't have to get up, gather my Cricut supplies and clear a spot on my table to cut something small. It sits on my table until needed. It works very well for me. 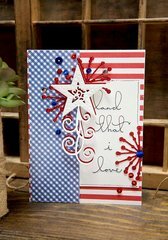 I use some of the Spellbinder dies as well as many Stampin' Up dies with my machine. 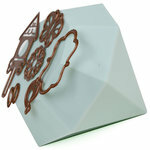 I am pleased with my purchase, In fact, going to show it off to some of my Paper Pumpkin customers this morning. Wish that Stampin' Up had a similar machine. I know many people that would own one. By: carol143 (05-Aug-16) Helpful Answer? Yes | No Thank you! Report Inappropriate This Answer has been reported. Thank you!